There is a range of career paths at the Whitechapel Gallery. From curatorial roles to fundraising, marketing, front of house, and building operations, we employ 65 permanent staff and 40 casual staff, as well as running structured volunteering placements and funded work-based training programmes. All opportunities are recruited for as they become available through a fair and open application process. We cannot facilitate employment or volunteering enquiries which do not relate to an advertised position. When completing the application form please fill in the ‘application statement’ section by addressing the criteria which are in the published job description, and by giving specific examples. If you would like to find out more about completing the application form please see our useful tips document. Follow the links below to learn more about current opportunities. Follow us on Linkedin to hear about newly-advertised roles. 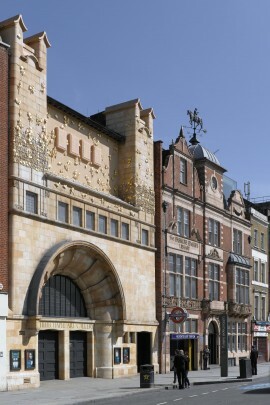 The Whitechapel Gallery has 65 permanent staffing posts across the organisation, offering an exciting range of careers in the arts. Positions are advertised on this jobs page as they become available. 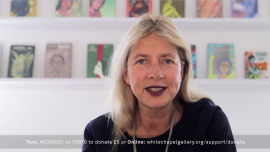 Volunteers make a significant contribution to the work of the Whitechapel Gallery, and we are committed to creating meaningful and productive roles for volunteers that will enable them to develop skills, knowledge and experience. We do not have any volunteering opportunities. The Whitechapel Gallery is proud to offer a diverse portfolio of work placements, including Apprenticeships, and a work-based training element for our Curatorial MA. 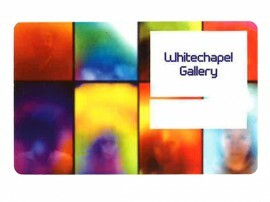 The Whitechapel Gallery is a charitable trust set up for the advancement of the arts and education. We’re keen to share our knowledge and help you to discover your career path in the sector.